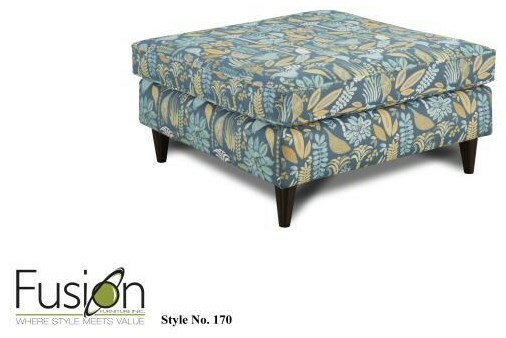 The 170 Large Cocktail Ottoman is a statement piece that will look great in your home! It is featured in a "Rain Forest Calypso" Poly/Cotton/Rayon blended fabric. The 3200 Cocktail Ottoman by Fusion Furniture at Furniture Fair - North Carolina in the Jacksonville, Greenville, Goldsboro, New Bern, Rocky Mount, Wilmington NC area. Product availability may vary. Contact us for the most current availability on this product.